Hello wine lovers and happy #wineWednesday! I trust life is good for you! This week (yes, I have to admit it) my love affair with Italy continues. I am surprising myself when I walk into a liquor store now…usually, I would walk around and around and go to each and every section – touching bottles and reading labels as I went. For this past month, it seems I just head directly to ‘Italy’ and start smiling when I get there. This weeks’ post comes to me via my Uncle Derek Campbell who is quite a wine collector. He turned me onto this wine when he brought it over for dinner. He was quite sure I would love it…he was right. To begin, Amarone is a style of wine from the Valpolicella region of Italy, located around the city of Verona. I was lucky enough to travel though this region on my honeymoon and swore I would come back I liked it that much. The grapes used to make this Amarone are Corvina, Corvinone, and Rondinella. 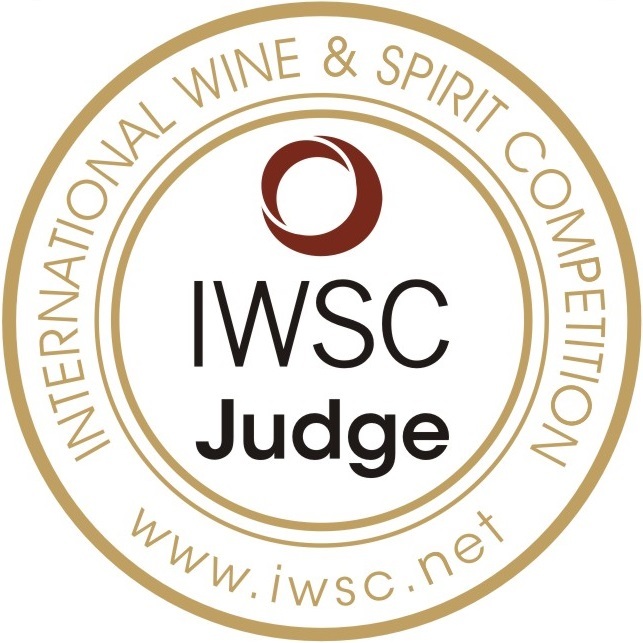 Amarone wine is made by using partially dried grapes (appassimento) which concentrates the flavour and sugars which results in a high alcohol content – usually over a 15% and significant (for a dry red wine) residual sugar. 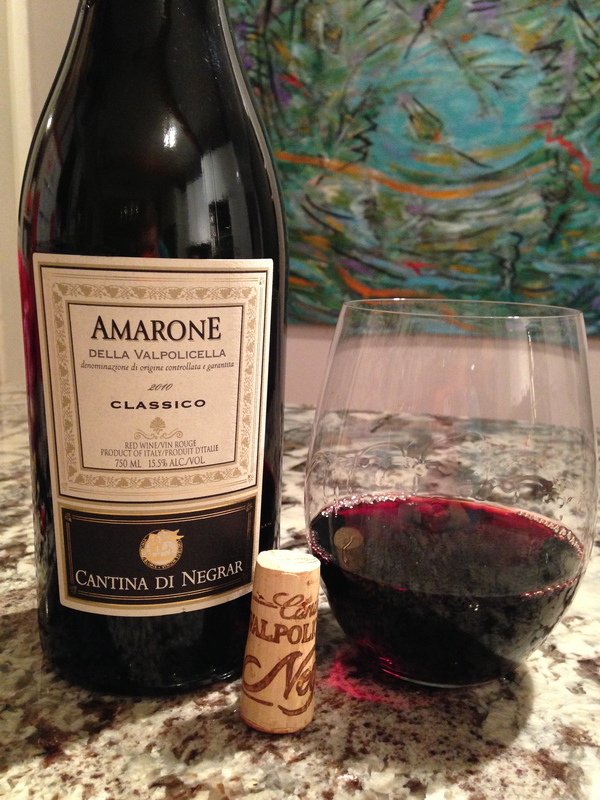 Cantina Di Negrar‘s Amarone Della Valpolicella Classico 2010 weighs in at 15.5% ABV. and has 8 grams/litre of residual sugar. This is a full bodied wine to be savoured slowly. Concentrated ruby red in the glass, on the nose there are aromas of cigar, cedar, liquorice, vanilla, raisin and prune. On the palate, flavours of black cherry, dried fruit, dried spice, dusty earth with sweet raisin. It has medium acidity. It is classified as a ‘dry’ wine but with 8 grams of residual sugar, this is definitely in the ‘off-dry’ category. It has a lingering, concentrated finish and is worth every penny of the $39.99 I paid for it at the B.C. liquor store. This is a special wine and one to appreciate. It needs to be paired with a heavy red meat dish to be fully enjoyed. Yes, we have found another GGG ‘Hell Yes’ wine. That is it for me for this week and I guess for the month! It has been a pleasure writing to you for over 2 years now. You keep me motivated and dedicated – thank you. Nice review! Amarone is one of my favorites 🙂 Have you tried Amarone from Pieropan or Trabucchi d’Illasi? I love those. Cheers! I haven’t but I will put them in my list! Thank you! No – I haven’t – I will do so soon! Thank you! Sounds yummy, it will go on the shopping g list. Thank you. Yess – all good here! Tomorrow I am moving over to France!